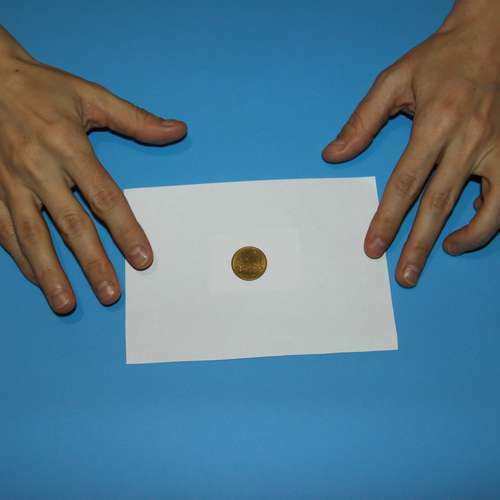 Step 1: On the table is a sheet of paper, and in your hand – a coin. 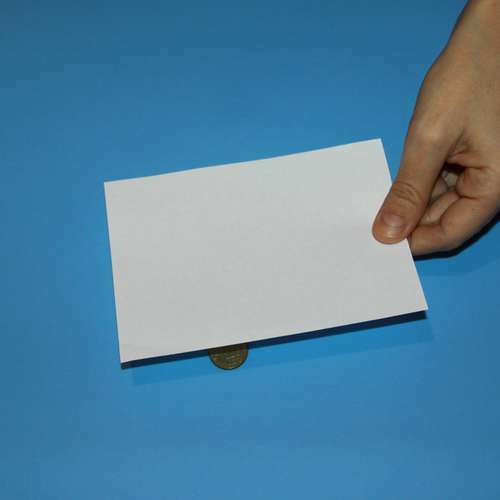 Step 2: Place the coin in the center of the paper and fold one side. 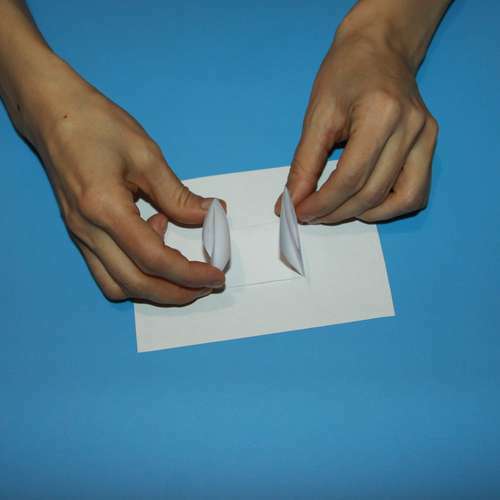 Step 3: Fold the other side, hiding the coin from the audience. 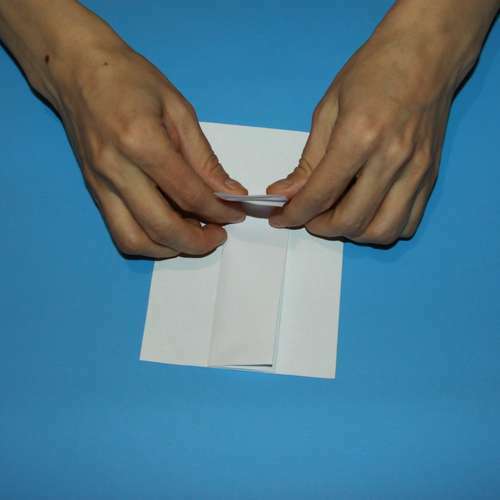 Step 4: Then fold the paper from one side. 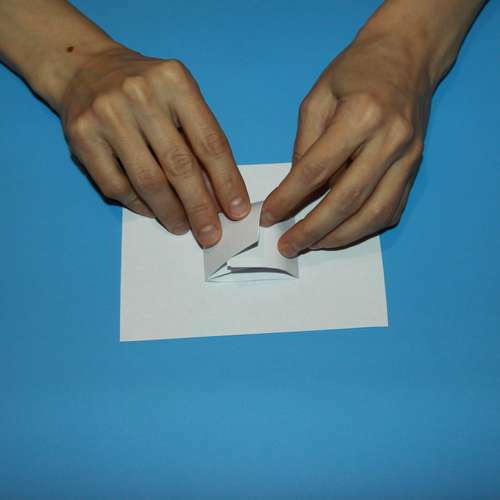 Step 5: And then from the other. 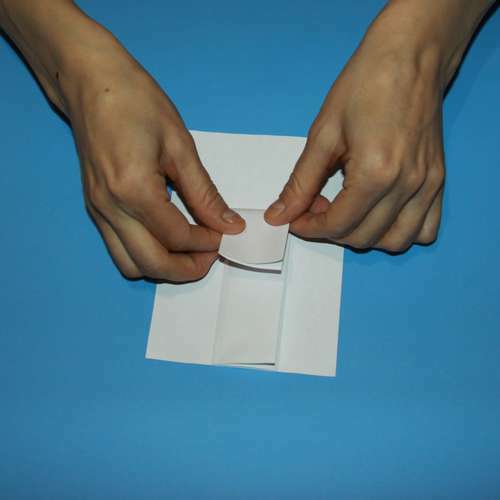 Step 6: Insert one folded side into the other. 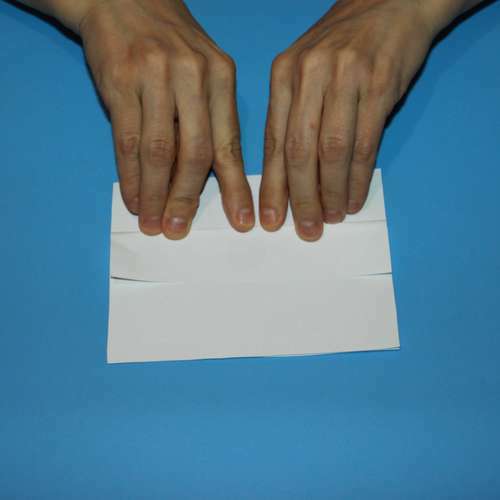 Step 7: You should now have the following. 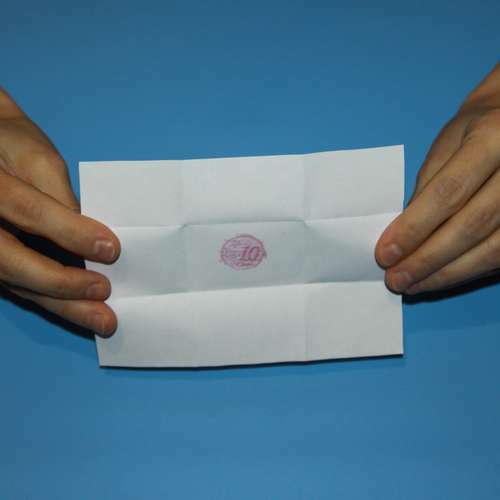 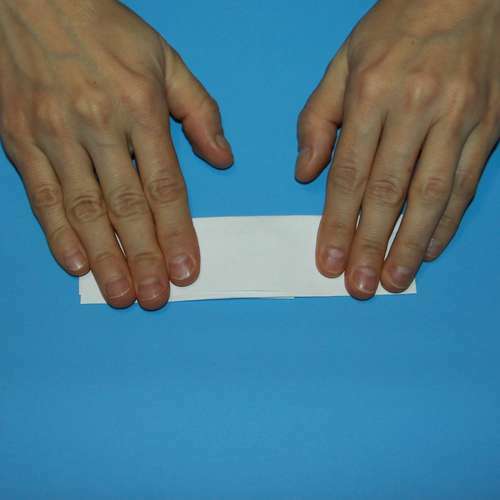 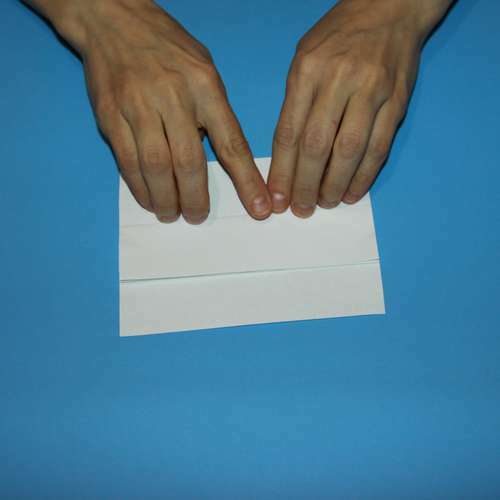 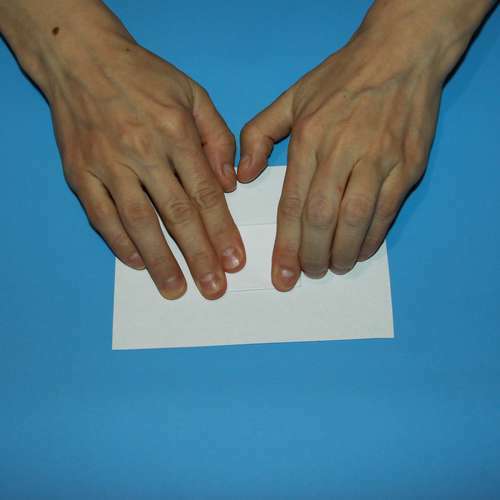 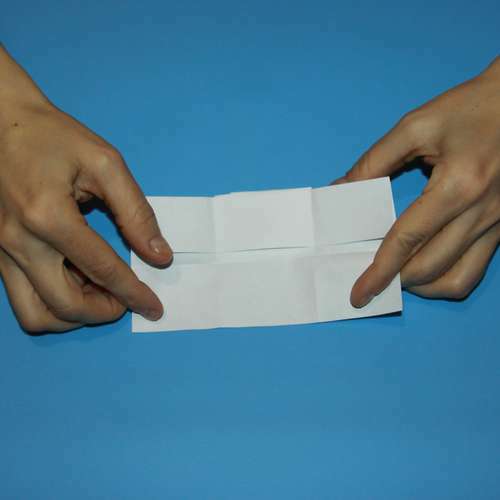 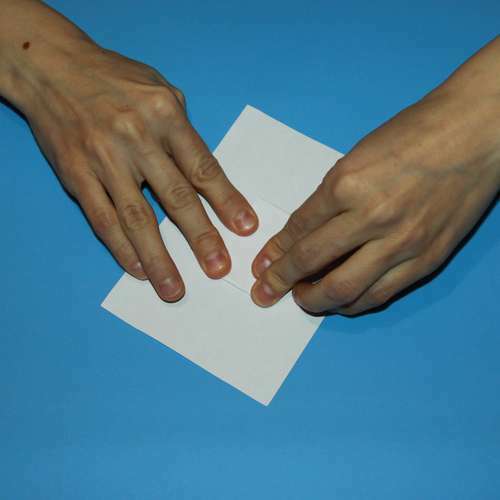 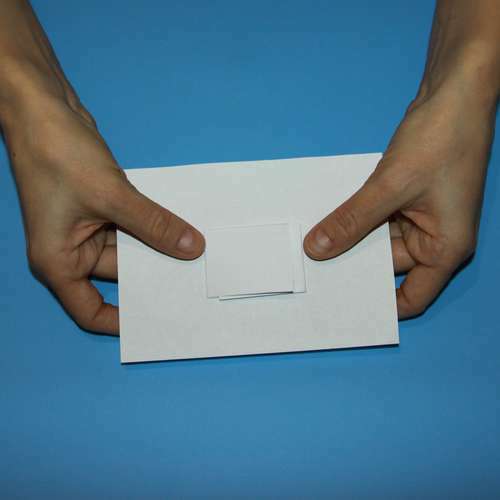 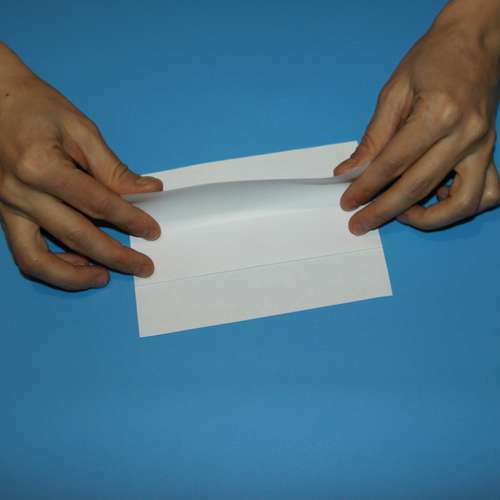 Step 8: Press the folded paper in your hands and say a few magic words. 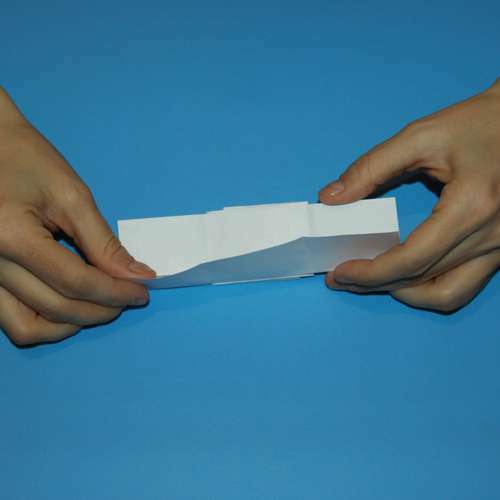 Step 9: Lay the paper on the table and unfold it. 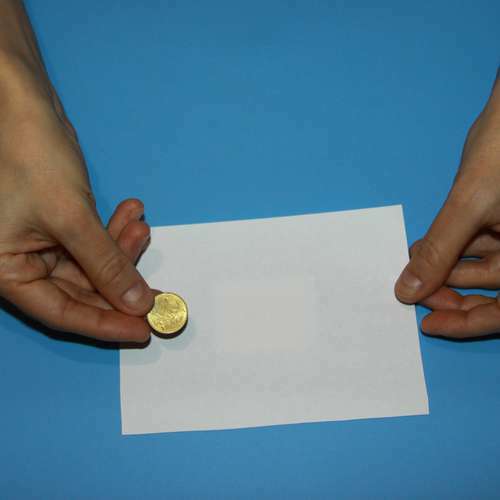 The coin has disappeared, but has left a drawing of itself on the paper! 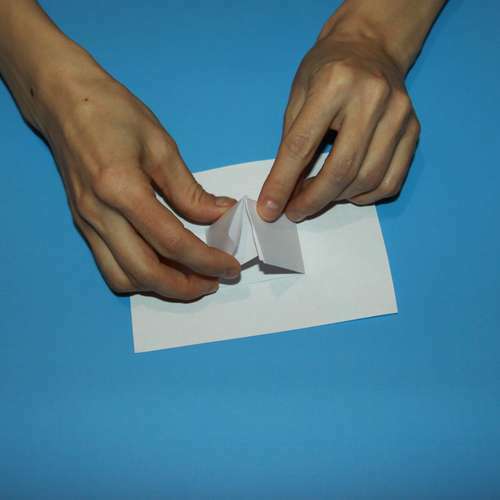 Step 10: The secret of the magic trick is in its preparation. 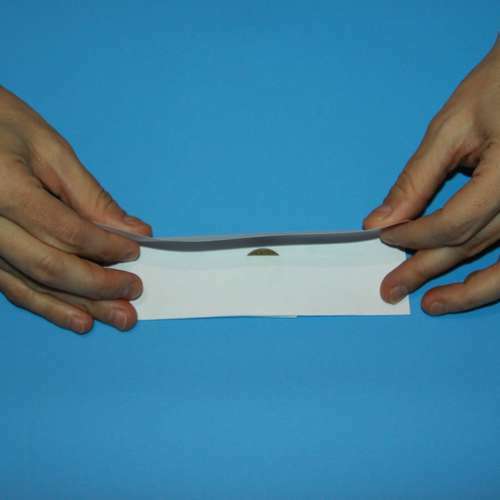 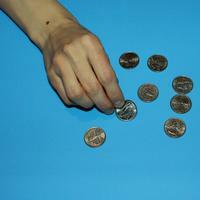 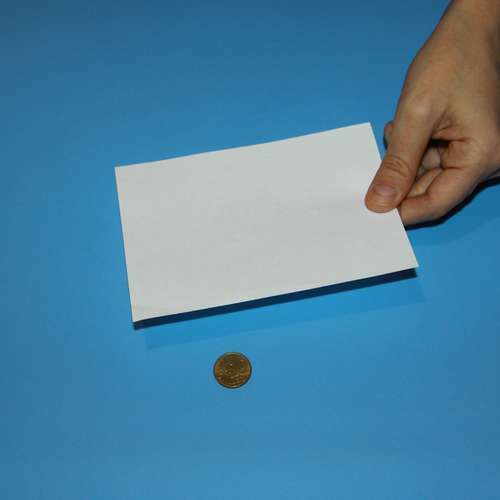 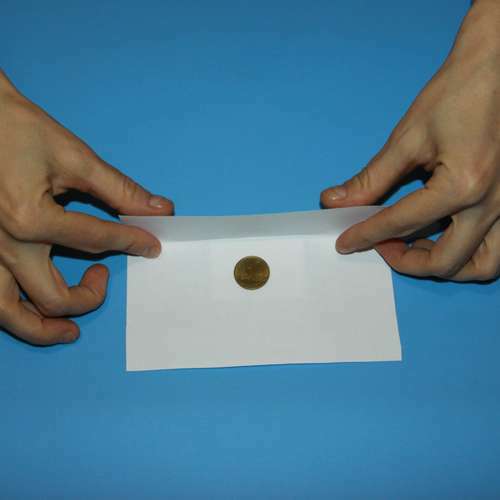 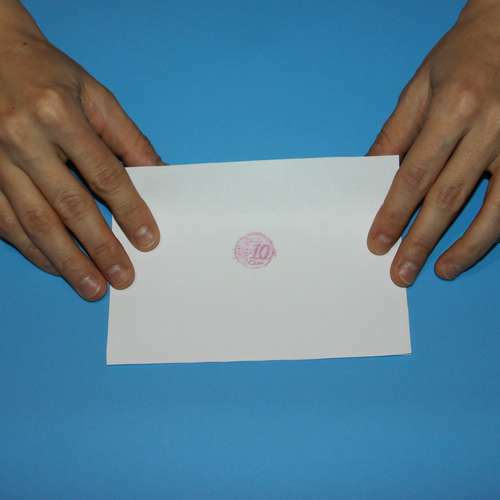 Before the performance, take the coin and cover it with a sheet of paper. 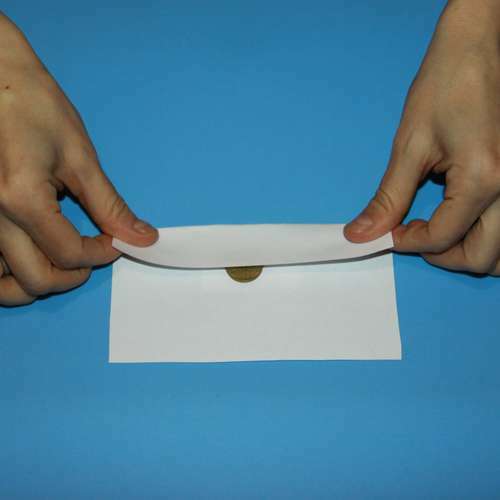 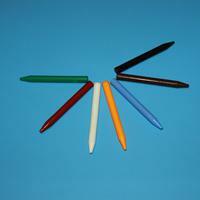 Step 11: Take a pencil and make a rubbing of the coin underneath. 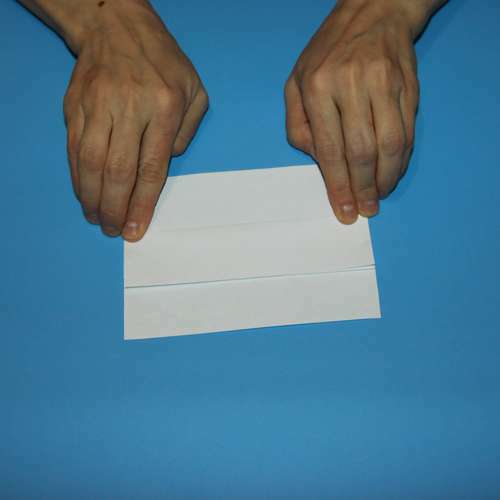 Step 12: Take a second sheet of paper, exactly the same as the first. 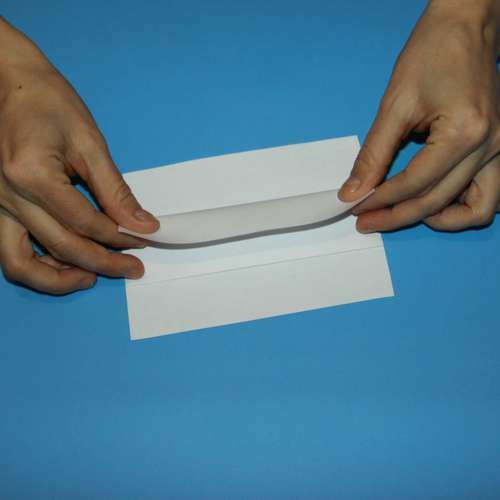 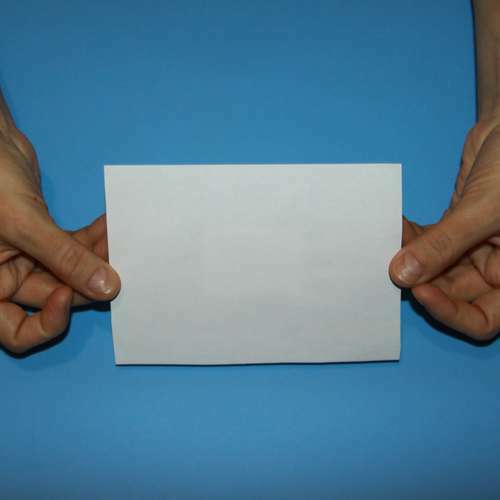 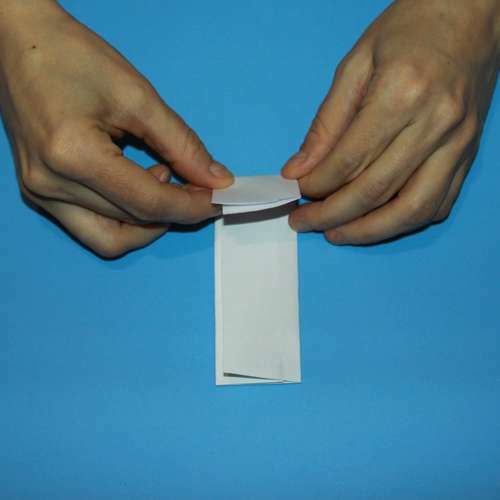 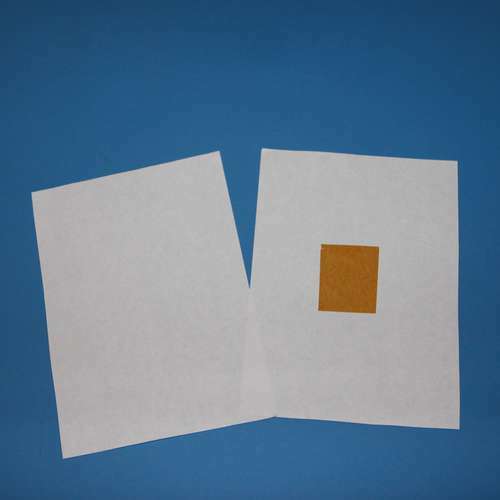 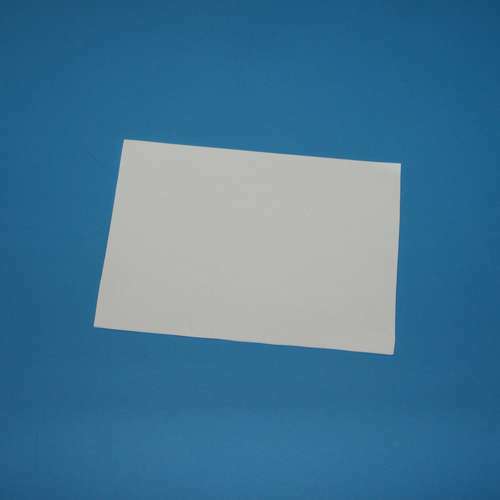 To one of the sheets of paper attach a piece of double-sided tape. 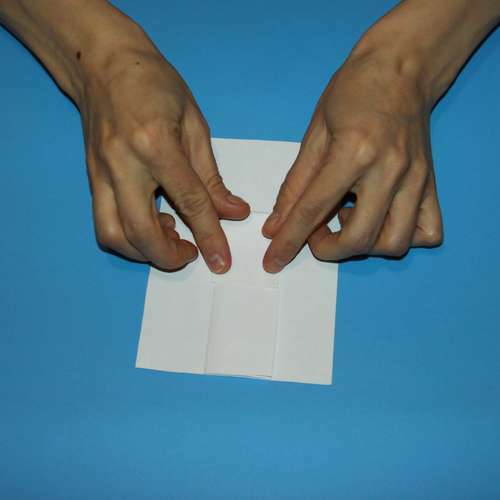 Step 13: Lay one sheet on the other and press to attach them. 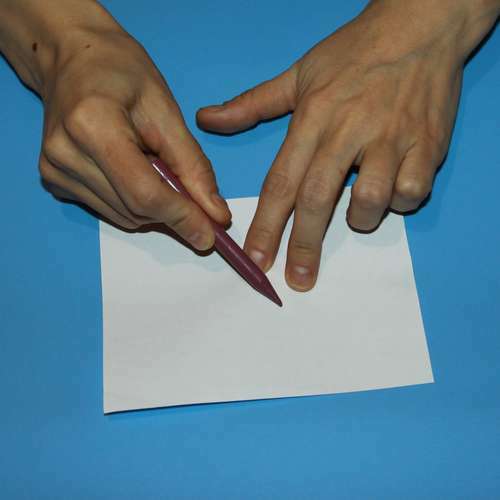 Step 14: Fold one side of the paper with the drawing. 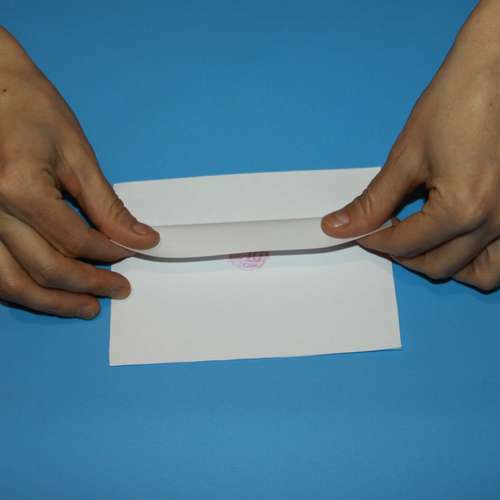 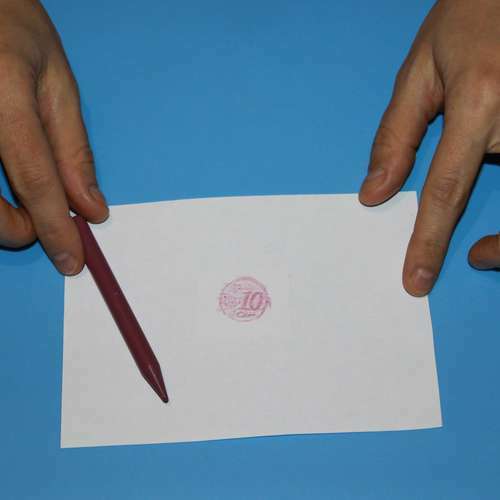 Step 19: Now turn the paper over and perform the magic trick. 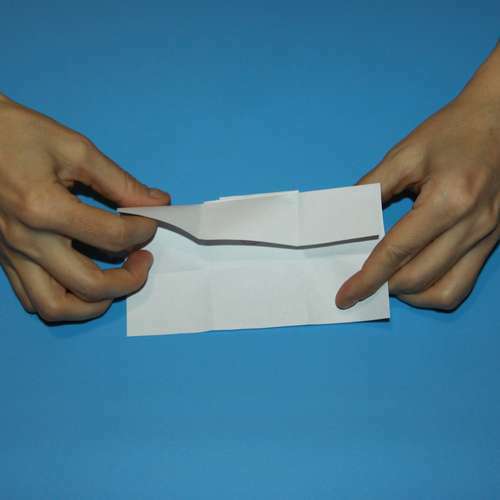 The audience shouldn’t notice that the folded paper is two-sided. 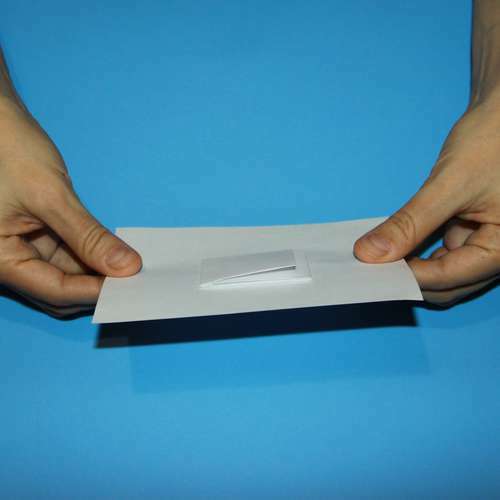 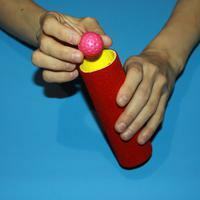 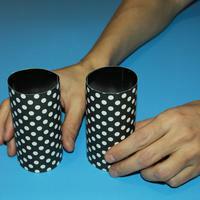 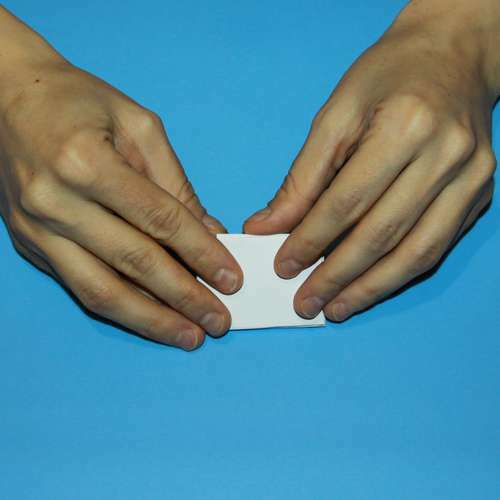 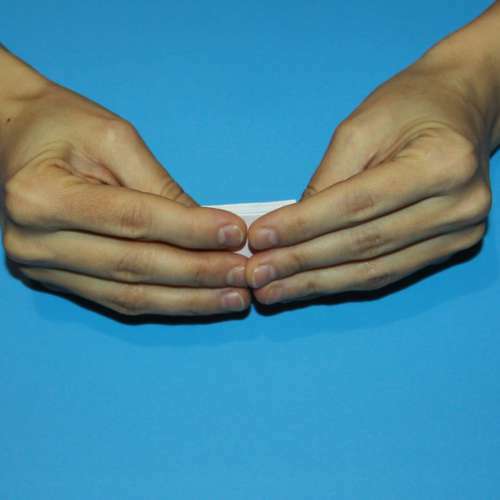 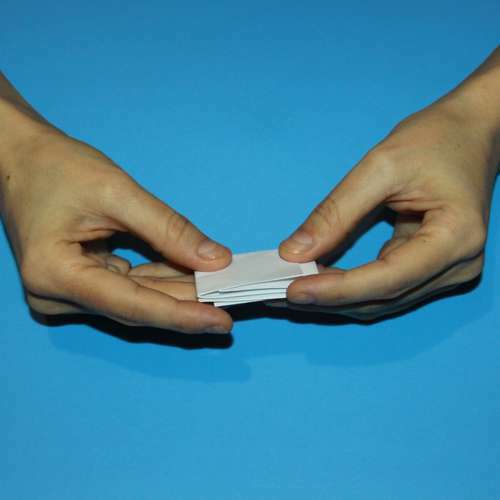 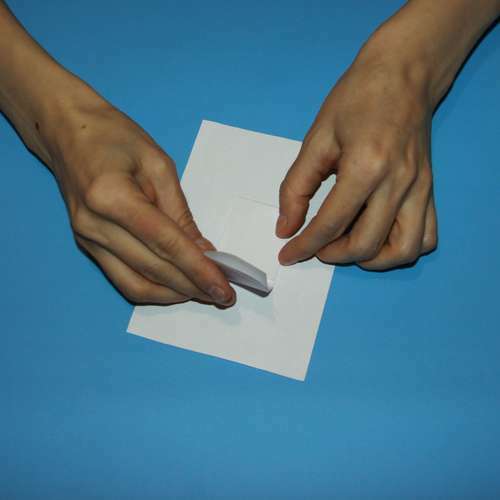 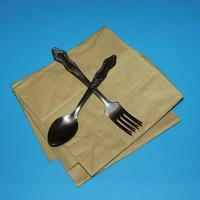 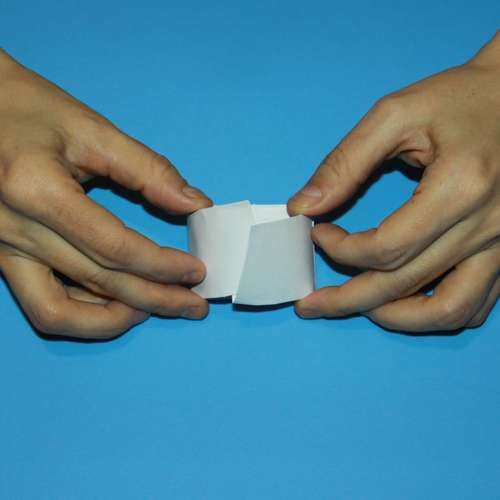 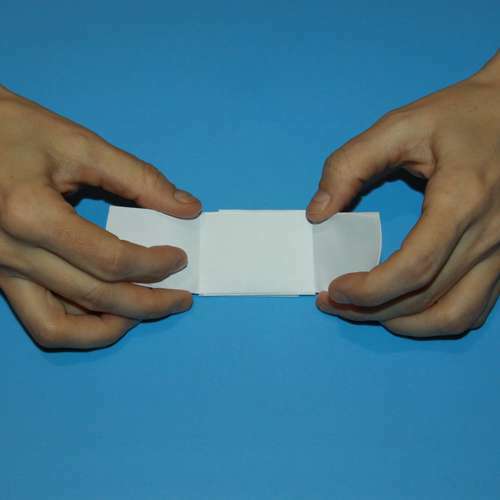 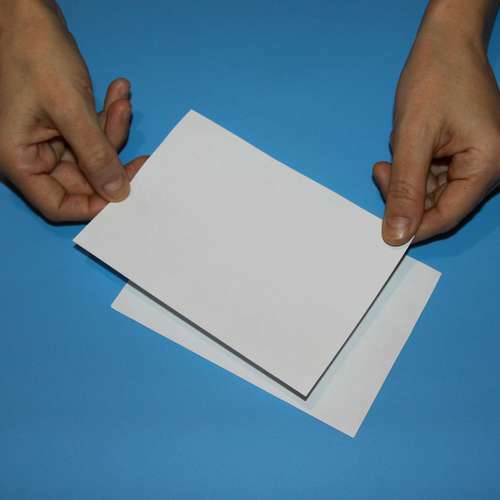 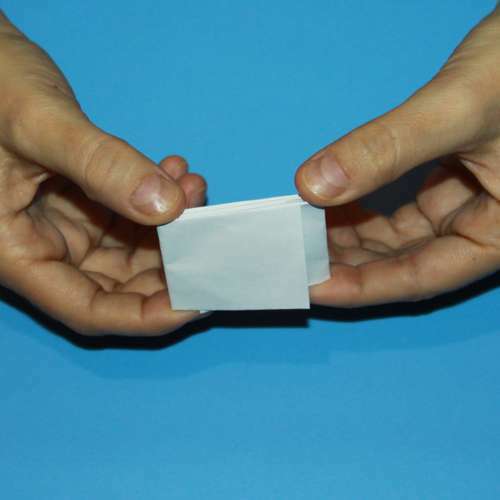 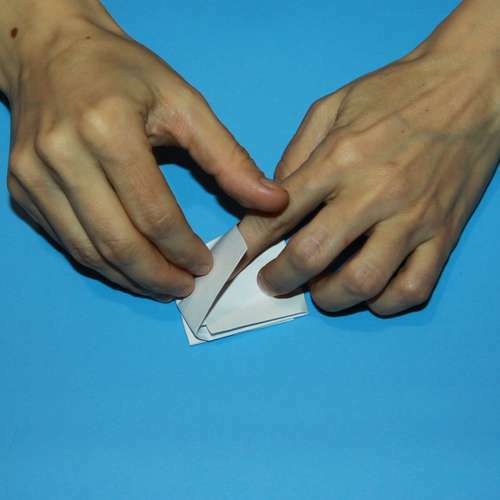 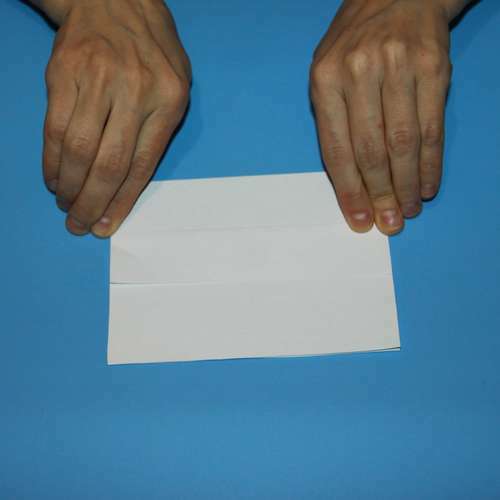 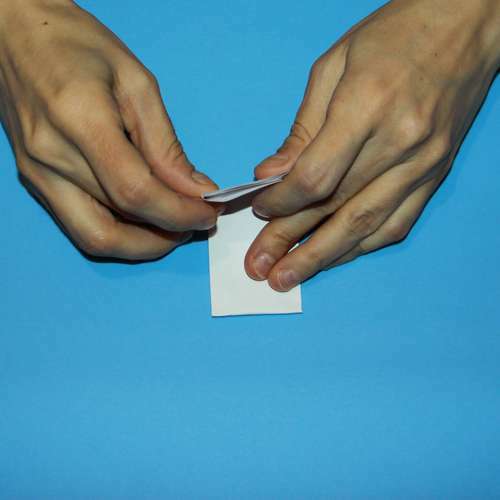 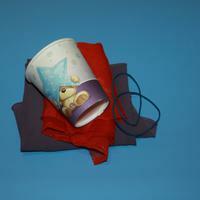 After picking up the folded paper during the magic trick, simply place it back on the table on its other side.